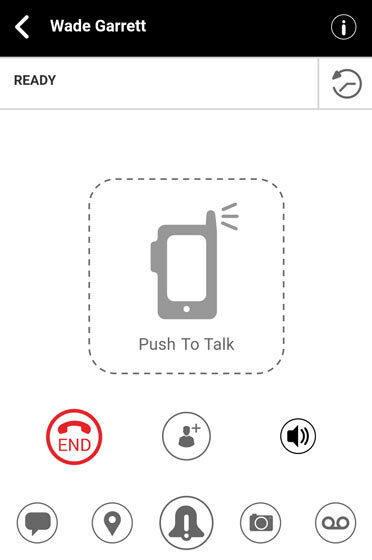 Usage of the PTT+ app requires GPS. From the Ready screen, tap the Location icon . Alternatively, tap the History icon then tap the Location icon . From the My Location screen, tap the Map pin icon . Alternatively, use the search box, zoom and swipe to pinpoint an alternate location to share. Tap the Share icon to send your location. Tap the Location Tab . 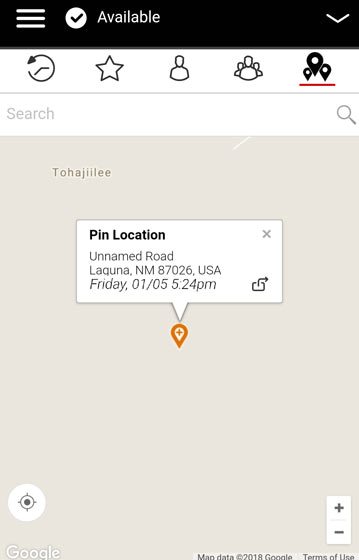 From the My Location screen, use the search box, zoom and swipe to pinpoint an alternate location to share.